When you’re looking for solutions, you’re looking for impact – Impact that would bring about the desired change in learner performance and a positive ROI on your training. That’s exactly what we’ve got. We have high-impact solutions and we aren’t just shooting the breeze with this one. We’ve got case studies for you where we identified the challenges, came up with apt solutions and saw the impact first hand. 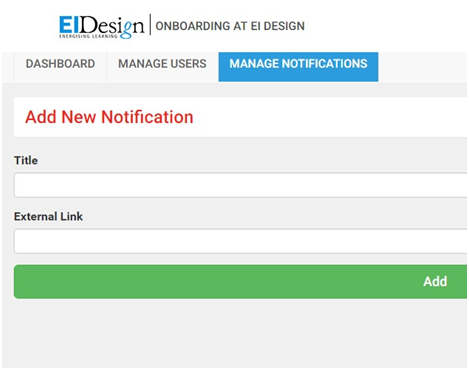 Employee engagement has a lot to do with Induction and Onboarding. That’s where the employee’s journey with the organisation begins after all. 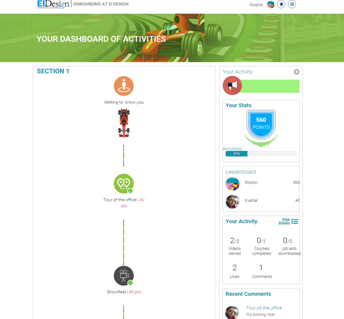 Our latest Induction and Onboarding solution appeals to varied learner profiles as it is portal-based, comes with elements of Gamification to make the experience fun and engaging, helps learners learn through Microlearning nuggets in varied, innovative formats and invokes a sense of belonging and collaboration through Social Learning. First impressions always count and we needed to ensure that our Induction and Onboarding program makes the desired impact on our new joinees. 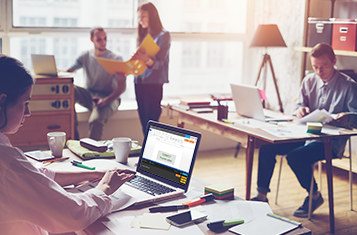 We decided to convert our existing Induction and Onboarding program into an engaging training format that’ll help learners learn anywhere. 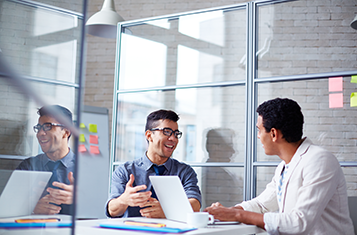 One of the first things they look for is interaction with their co-workers and we thought we should include an element of Social Learning in our program, helping them break the ice and collaborate with their peers on social media. 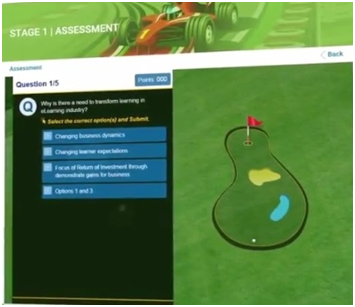 There was also this need to bring in an element of challenge and motivation through Gamification to enable learners to earn points, gain incentives/recognition, complete the program and more importantly, engage with the program. 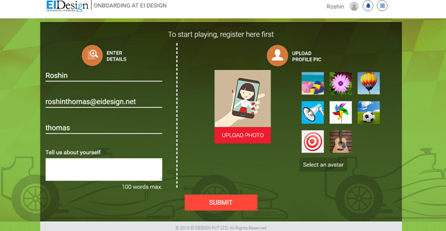 After logging into the portal, learners can customise their profile, choose an avatar, upload their photo and provide a description about themselves. Once they have done that, they get to see the “path” that they need to follow to complete the program, viewing information related to the organisation and their job role and environment in different innovative formats along the way. 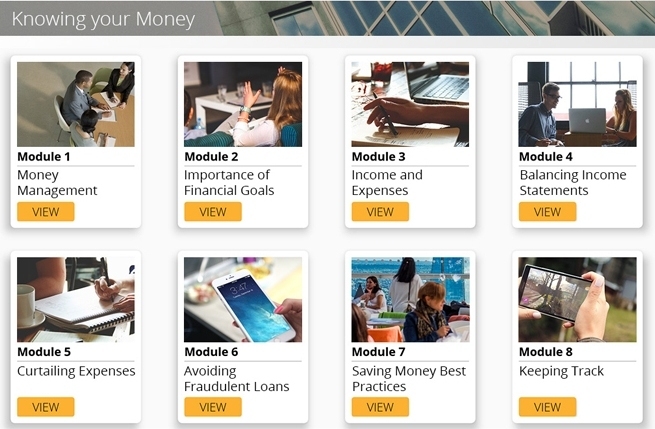 The portal’s learning journey has been woven with various Microlearning nuggets in different formats such as videos, PDFs, activities and so on. At the end of every stage, learners get to play a game to test the knowledge they have gained in the respective sections. 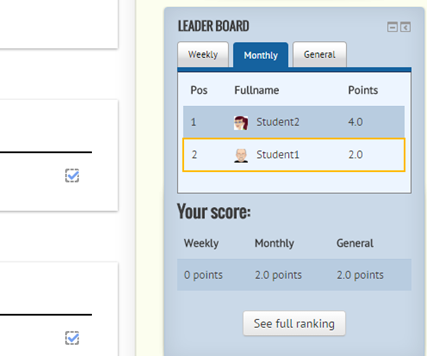 To make the learning journey rewarding and pump up motivation levels, the solution features points and leaderboards. There are Social Learning elements too. 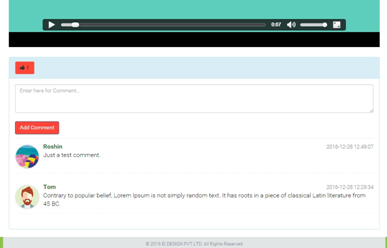 Learners can “like” a post, video, or any other asset they view and even drop in their comments for the same. 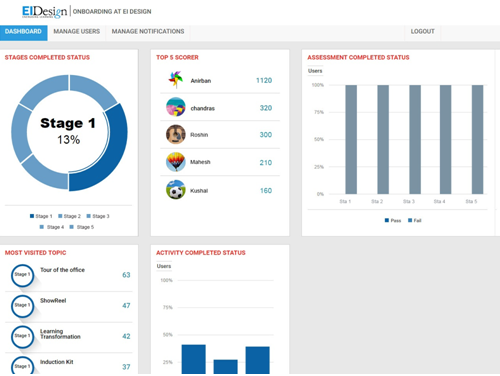 The portal allows admins to track learner performance, manage users, send them notifications, and so on. 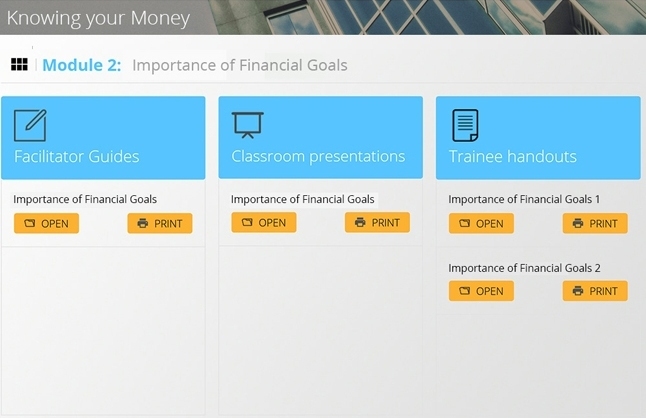 The Social Learning and Gamification aspects in the portal struck a chord with the learners instantly, motivating them and helping them collaborate with their peers. They enjoyed the experience as the solution mapped to the modern young learners’ web and digital media experiences. 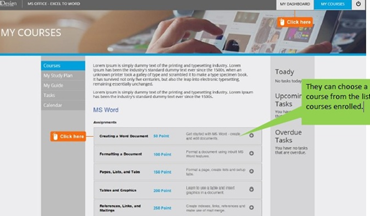 The Microlearning nuggets in the learning path made the learners familiarise with various aspects related to the organisation in a bite-sized way, saving them the travails of an otherwise information-heavy Induction session. The program helped learners get to know about the organisation and their peers in a fun, engaging manner. It helped bring about the right behavioural change. 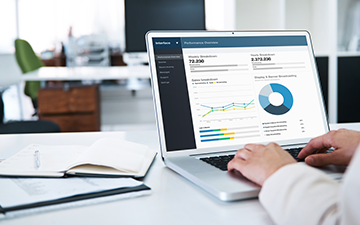 With the right learning interventions and effective tracking mechanisms, this solution helps businesses get their desired return on investment. Like what you see? Thinking of incorporating this solution in your learning strategy? Get in touch with us! Let’s face it! Learners need to see something new, something different from the age old “Teach-Try-Test” model. They want an application simulation experience that’s informative, challenging and fun at the same time. 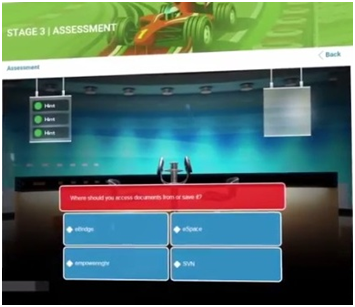 With a “Do It Yourself” concept and Gamification elements that make the simulation experience challenging beyond the “Teach-Try-Test” model, this solution truly makes application of learning an immersive experience. Application Simulations with a TTT (Teach-Try-Test) based approach are a dime a dozen. We wanted to develop an application simulation platform that’s beyond the conventional. We envisioned an approach that would be scalable, easily updatable, flexible and searchable for resources and assets. 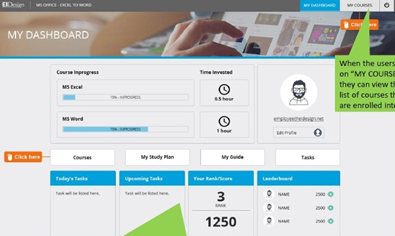 Additionally, we wanted to Gamify the solution, make it host multiple courses and enable learners to create study plans or paths by selecting specific courses. We provided the learners with the option to view the list of courses they are enrolled into. After logging in to the portal, they could view their dashboard with information about the courses, their study plans, leaderboards, ranking points, courses in progress and so on. They had the option of choosing the course they wanted to. Before they start, they could see the task that they needed to perform. Once they completed the task, we gave them feedback and their score. 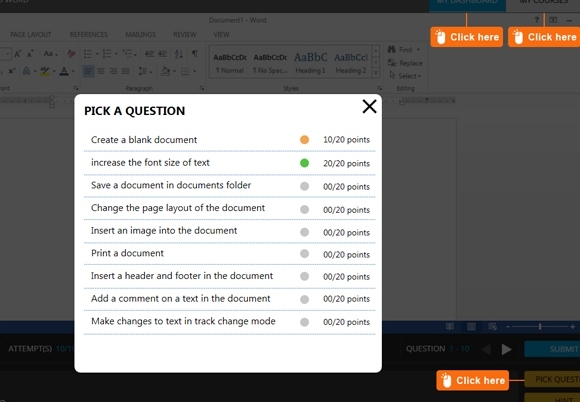 They could “PICK A QUESTION” and select different tasks. 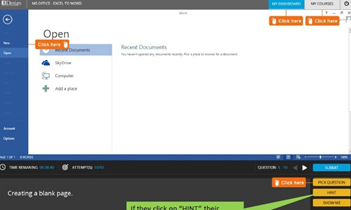 If they click on “HINT,” they would receive some stick as the points would be deducted. 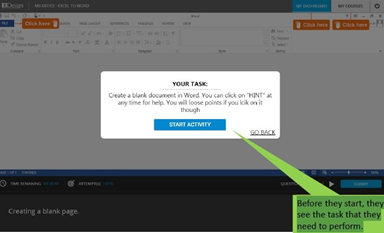 For assistance, they could also click on “SHOW ME” to view the demo and then get back to the activity. 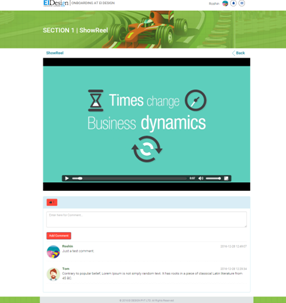 People say it is hard to beat the classroom training experience but trainers always face the challenge to host, track and manage from various locations.Packaged as a Mobile App that can host resources of various kinds (videos, images, PDFs and so on), this solution facilitates hosting, tracking and delivering classroom training sessions from anywhere. It’s a much better world for trainers now! The mandate was to build an app which could host and track classroom training for trainers so that they could deliver the classroom training in various locations and provide the relevant job aids material to learners as printouts for future reference. The modules can be taken in any order. This is how the menu page looks like. 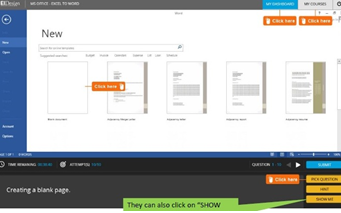 In the module landing page, there are options to open and print the Facilitator Guides, Classroom Presentations and Trainee handouts. 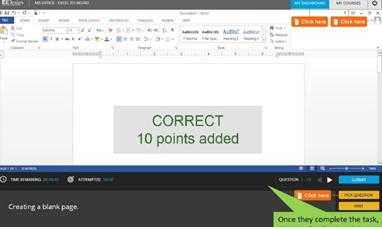 If the device is connected to the projector, the presentation opens in the projector directly. Is it possible to predict, measure and validate the learnability or learning effectiveness of your online courses? Well, it most certainly is! We’ve done it and we’ve seen tangible gains accrue as a result. Want to see how? Need a peek into more case studies and our other solutions?